aNYone, gorightthru4msu, cool...but rude and 1 other person like this. Wow.. protro versions of their most popular signature lines. hats off. doublemesh96, veeno, Sharpshoeter13 and 2 others like this. Wonder how these will release going forward? Like the Bron line where if you don't hit on the app, or some website, then you are pretty much out of luck. And have to go the resale route. Or like the initial release they will be found in outlets galore/sale for decent prices . More interested in this route instead of another flimsy shoe that will tear at the flex points and lunar that will bottom out in less than a month. Naruto and CHAOSE57 like this. aquatic barefoot, @esthetic$ky826, kzarector and 7 others like this. yeah, great marketing gimmick for people to be interested in retros. Not all retro's sell especially alongside the latest model. we would Probably see GR color and limited color down the road. I refuse to get lost in the sauce with all these damn releases this month, but if these are around/more colorways are on the horizon like it sounds like there are; I'm fully interested. Curious about what the tag will be. God, gorightthru4msu, Naruto and 1 other person like this. NIKE, THERE ARE OTHER MONTHS IN THE YEAR. Some of these releases are bound to hit discount because there's just too many. ON TOPIC: These look dope AF. Am I the only one who used to get these confused with the Air Zoom Generation 1s (LeBron's 1s)? illmatic kid and Blew like this. way too many shoes in one month. I think its because nike didn't do well last year in their quarterly earnings so we "consumers" are feeling the stacked releases. @esthetic$ky826, kzarector, lakeshoredr and 3 others like this. I think this is fitting to commerate the shoes he wore in that 81 point game. Im speeding call the cops, mvpshaq32, @esthetic$ky826 and 1 other person like this. Im speeding call the cops and dru812002 like this. what is the difference? thought they would put flyknit on retros, but anyway, Yes, I am in. 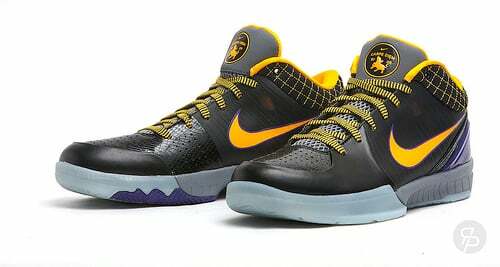 It's just great to see Kobe sneakers relevant again.